Could I describe the tranquil scene where it stands, and add the beauty of the landscape to the romantic cast of the mansion, it would raise more pleasing sensations than a dry list of curiosities can excite: at least the prospect would recall the good humour of those who might be disposed to condemn the fantastic fabric, and to think it a very proper habitation of, as it is, the scene that inspired, the author of the Castle of Otranto (Walpole 5). Chalcraft, Anna, and Judith Viscardi. 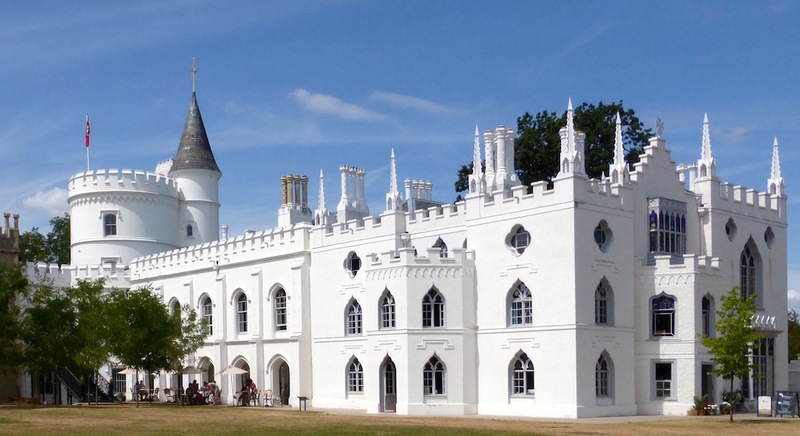 Strawberry Hill: Horace Walpole's Gothic Castle. London: Frances Lincoln, 2007. Clark, Kenneth. The Gothic Revival: An Essay in the History of Taste. London: Penguin (Pelican), 1964. Eastlake, Charles Locke. A History of the Gothic Revival. London: Longmans, Green, 1872. Internet Archive. Web. 5 September 2014. "Horace Walpole 1717-1797 and Strawberry Hill" (Local History Notes). London Borough of Richmond-upon-Thames. Web. 5 September 2014. Haggerty, George E. Horace Walpole's Letters: Masculinity and Friendship in the Eighteenth Century. Langham, Maryland: Bucknell University Press/Bowman & Littlefield, 2011. Harney, Marion. Place-Making for the Imagination: Horace Walpole and Strawberry Hill. Farnham and Burlington, VT, Ashgate, 2014. "Horace Walpole and Strawberry Hill." Victoria and Albert Museum. Web. 5 September 2014. "The Lewis Walpole Library." Yale University Library. Web. 5 September 2014. Lewis, Wilmarth Sheldon. Horace Walpole's Library. Cambridge: Cambridge University Press, 1958. Lombardo, Christy, and Sadally Orama. "Considerations for Strawberry Hill 40: The First Big Addition." University of Pennsylvania (Summer Conservation 2006). Web. 5 September 2014. Peover, Michael. Strawberry Hill: Renaissance Glass. London: Scala, 2010. Robins, George. A Catalogue of the Classic Contents of Strawberry Hill Collected by Horace Walpole (auction catalogue). Internet Archive. Contributed by the Philadelphia Museum of Art, Library. Web. 5 September 2014. Snodin, Michael. "Going to Strawberry Hill." Horace Walpole's Strawberry Hill. Ed. Michael Snodin, assisted by Cynthia Roman. New Haven and London: The Lewis Walpole Library and others, in association with Yale University Press, 2009. 15-57. "Strawberry Hill: About the House: The Gallery." Strawberry Hill House. Web. 24 August 2014. "Strawberry Hill: The Collections." Strawberry Hill House. Web. 24 August 2014. Strawberry Hill List Entry. English Heritage. Web. 5 September 2014. 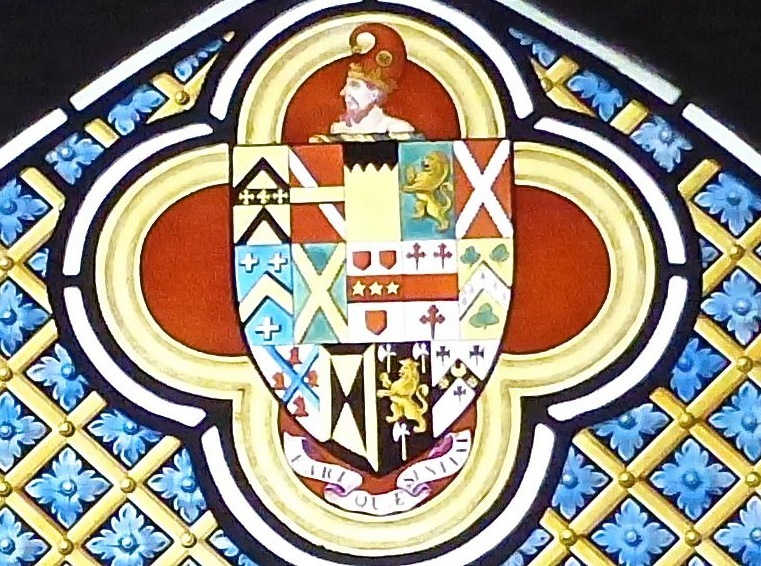 Walpole, Horace. A Description of the Villa of Mr Horace Walpole at Strawberry-Hill near Twickenham, Middlesex. Edited version in a booklet compiled and written by Carole Patey and published by the Strawberry Hill Trust, 2014. Available at the house.